Fotos der Offiziere aller Batterien etc. are listed on the Regimental Memorial Tribute Of Honor Pages, not to be forgotten. 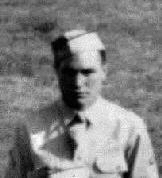 2LT LAWRENCE C. BLANCHARD JR.
Citation: 8. Juni 1944 ! he wrote LETTERS HOME: A WAR MEMOIR based on his letters back to family and friends in the U.S. during WWII while he was in the Army. Photo & Bio bereits unter Bronze Star! LTC George L. Mabry Jr.
Mabry sei der zweitmeistdekorierte Amerikaner gewesen. After the guards put the prisoners into a landing craft, to be taken back to the USS Bayfield for interrogation, they reported to Van Fleet. It was 0940. Van Fleet radioed General Barton on Bayfield, "I am ashore with Colonel Simmons and General Roosevelt, advancing steadily." As new waves of landing craft came in, Van Fleet and Roosevelt sent them through the holes in the seawall with orders to move inland. Already the biggest problem they faced was congestion on the beach. There were too many troops and vehicles, not enough openings. Sporadic incoming artillery fire and the ubiquitous mines made the traffic jam horrendous. Still, at 1045, Van Fleet was able to radio Barton, "Everything is going OK." The beach area was comparatively secure, the reserve battalions were coming ashore. Hier wird der Untergang der Bttr. B behandelt! Steile Karriere, genoss die Gunst des Art Chefs Blakeley. „Bester Bat.Kdt“ Hoch dekoriert. Er schildert den D-Day auch persönlich in einem anschliessenden Aufsatz. 1892 – 1992 Infanterie Rgt-Kdt! 28th Field Artillery (We Support the Line) Lineage and Honors: (Auszeichnungen der Einheit) Das geht ja gar nicht um das 29. Bat!!! The One Man Gun Crew ! D-Day minus three, found the crew of this Artillery Battery crammed aboard a Navy landing craft tank. Peter N. Russo was born in Brooklyn, New York. He was a member of C Battery, 29th FA, at the time of this story. Later, when B Battery was reformed, he was transfered into the new B Battery, as their Chief of the #1 Gun Crew! 1st. 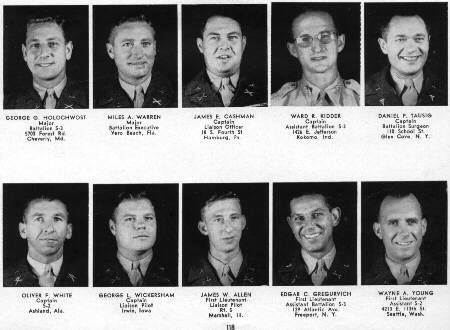 Lt. William G. Cole and Glenn Warren were members of C Battery, 29th FA at the time of these stories. schildert auch den Untergang der B-Comp. They started me through the pipeline for replacement officers, to Wales and on to England. 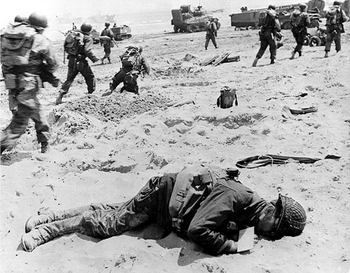 From there, I was sent to the 4th Infantry Division's 29th FA Battalion, which had landed on Utah Beach on D-Day. I crossed the Channel with other replacements going to the 4th Division on D+1. We had to find the Division Headquarters without a guide and got there on D+2. Though the service with the 29th FA as a Forward Observer was tough and dangerous, I feel that I was, perhaps, better than I would have seen with the 77th Division. I read that they got into trouble in combat on Guam and had to be saved by the Marines. In any case, my service with the 4th Division passed the ultimate test - - I survived in good health. You may CLICKthe person's name to view his memorium where available! 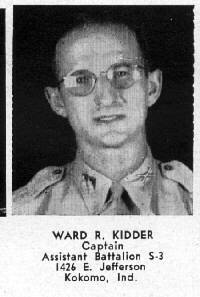 An asterick (*) indicates those who were KIA on June 6, 1944, and underlined names indicate a photo is available. Fotographien: die meisten bereits verwendet!